Brettenwood Estate is a private housing and retirement village, with high, red dunes, close to the sea. There are three big CRB walls at Brettenwood, with this example being the highest. 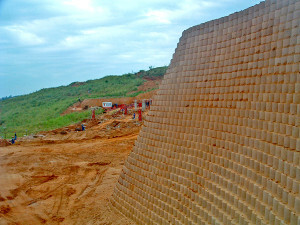 Says Ben van Schalkwyk, BRW Projects: “The highest wall reaches up to 12,6 m, and is comprised of a double skin of L13 blocks all the way to the top. The concrete foundation is 1200 mm wide, 450 mm thick; and reinforced with Y12 steel bars that protrude into the double layer of the first row of blocks that were set in the wet concrete. The first 9 double layers of blocks were filled with mass concrete. Van Schalkwyk adds that the Terraforce L13 blocks, manufactured by Corobrik Durban, were chosen by Vista Homes due to their extensive experience with these blocks. 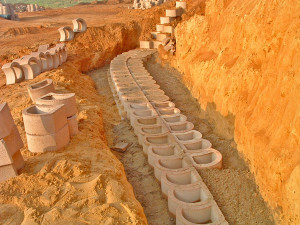 Vista was the main contractor on site, and had before used Terraforce blocks for large projects. 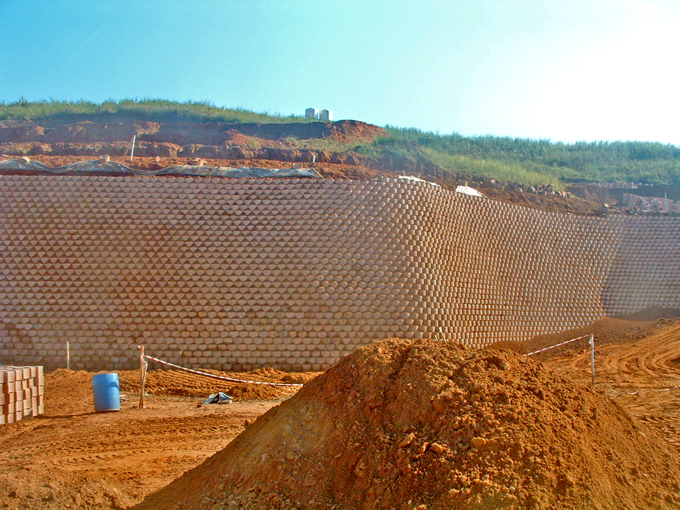 In total, 162 000 L13 blocks were used for this wall, while 120 000 blocks were used on the second wall and 90 000 blocks on the third wall. There are also about ten other smaller walls in the estate built with L22 and Geolock 300 blocks.